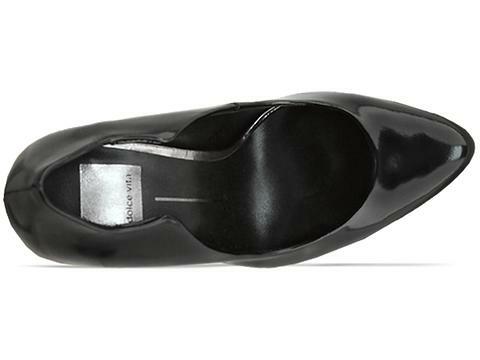 Today's So Shoe Me is the Karis Pump by Dolce Vita, $185, available at Solestruck. 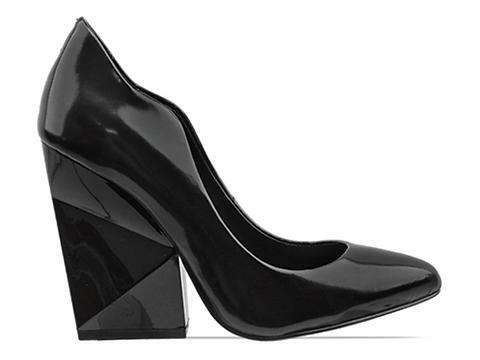 Another fascinating faceted pump to add a futuristic update to the basic black heel. The Karis is a total gem with a chunky 3D heel and a sculpted front these shiny showstoppers will add a signature touch to your favorite fall separates. An allover patent leather finish adds high shine and a textural punch to your everyday outfits and the basic black color works with everything. Glossy and glamorous these sculptural pumps are the perfect addition for a shoe addict or newbie collector due to the signature style and wearable color and shape. Pair these heels with a bold print (I love the nature prints from Clover Canyon), a pair of black suede leggings and a geometric cut jacket for a bold modern style. 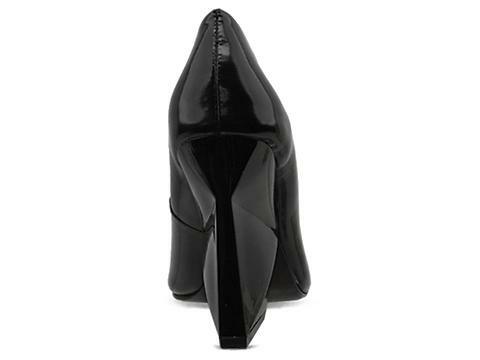 So Shoe Me a pair of geometric beauties in a glossy black finish that will add a high shine detail with a showstopping shape.